Northern Cappadocia Tour, where you will see the most beautiful places of Cappadocia, is an ideal option for you to get to know the region closely. If you want to spend a perfect holiday with the unique view of the fairy chimneys dating back thousands of years, then you are in the right place. Goreme Open Air Museum is one of the most interesting places in the world, which is the museum includes both natural and historical beauties. It contains thousands of structures. But Northern Cappadocia is not limited to this place only. You will visit the churches carved into the rocks. Then you will see the Pasabagi Monks Valley, where earlier Christians once lived. There are amazingly beautiful fairy chimneys. Then you will drive to Uchisar to see the castles engraved on the rocks. The bird’s eye view there is beautiful. You will also go to the Imagination Valley, where you can push your imagination to the end. The fantastic shapes of the fairy chimneys there will take you under the influence. The final point of our tour is to visit Avanos, the center of pottery labor, which was once the livelihood of the people of the region. Get ready for a saga of adventure. Don’t forget to contact us. 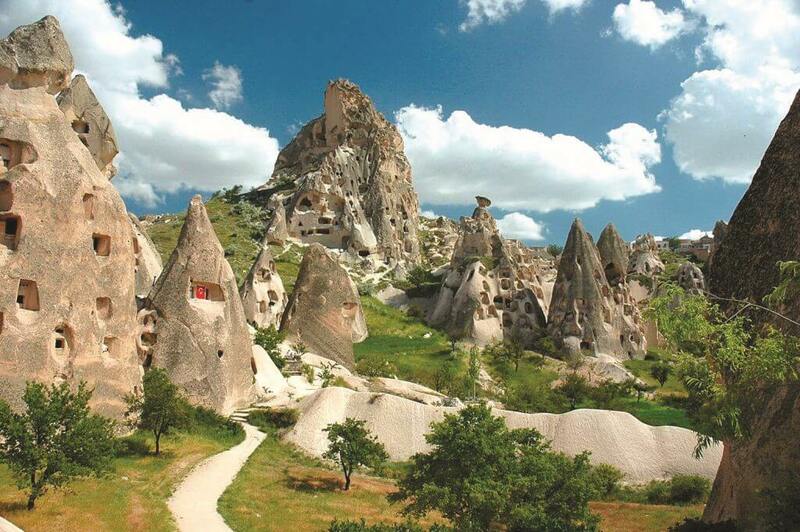 There are unique houses, churches, underground cities carved into the rocks, of Cappadocia. Cappadocia, with its colorful balloons, famous wines and magnificent sunsets, has a charming and mysterious atmosphere. With Cappadocia Blue Tour, you will have a chance to be in the epic places of Cappadocia. Soganli Valley stands out with its unique beauties among the natural beauties. There are many fairy chimneys and caves in these fairy chimneys. After the valley you will visit the Keslik Monastery. 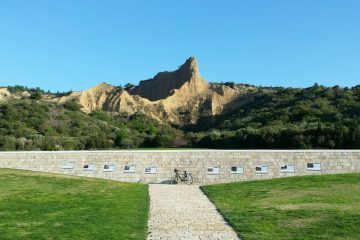 Maybe it is the structure that carries the traces of the ancient period. Moreover, the inside of a fairy chimney has been carved. When you arrive here on Cappadocia with Blue Tour, don’t forget to feel free to picture with plenty. 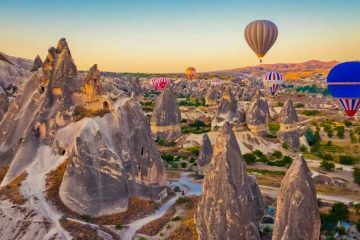 Here is the best itinerary for Cappadocia, Cappadocia tour from Istanbul! Our next address is to visit Kaymakli Underground City which is one of the largest underground cities of Cappadocia. 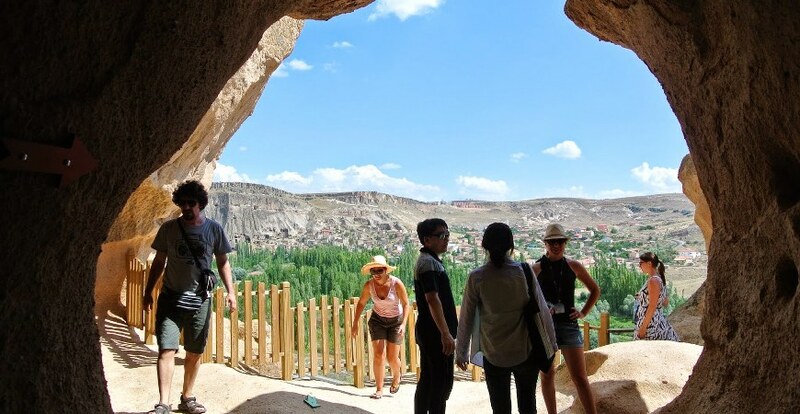 There are so many things to explore under the Cappadocia Blue Tour. People living in the old world wonder what it is doing now is not possible. 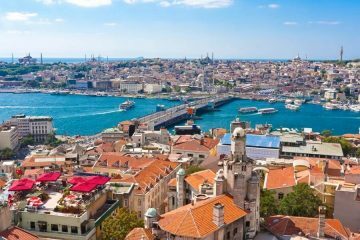 The last point of our address is the village of Mustafapaşa. The reason why this village is very different from the villages you know is that the houses sheltered within the structure are still carved into the rocks. 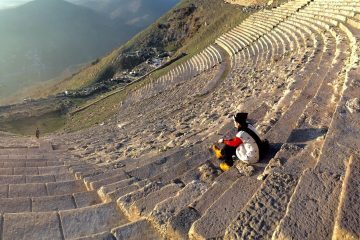 You will be amazed at Muratpaşa, an old Christian village. With Cappadocia Blue Tour, you will have a chance to be in the epic places of Cappadocia. Soganli Valley stands out with its unique beauties among the natural beauties. There are many fairy chimneys and caves in these fairy chimneys. 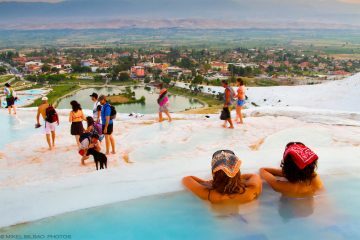 You can make a wonderful trip to the most important sights by joining the Pamukkale and Cappadocia tour. After the valley you will visit the Keslik Monastery. 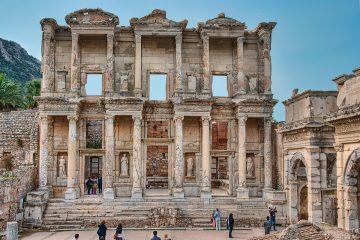 Maybe it is the structure that carries the traces of the ancient period. Moreover, the inside of a fairy chimney has been carved. 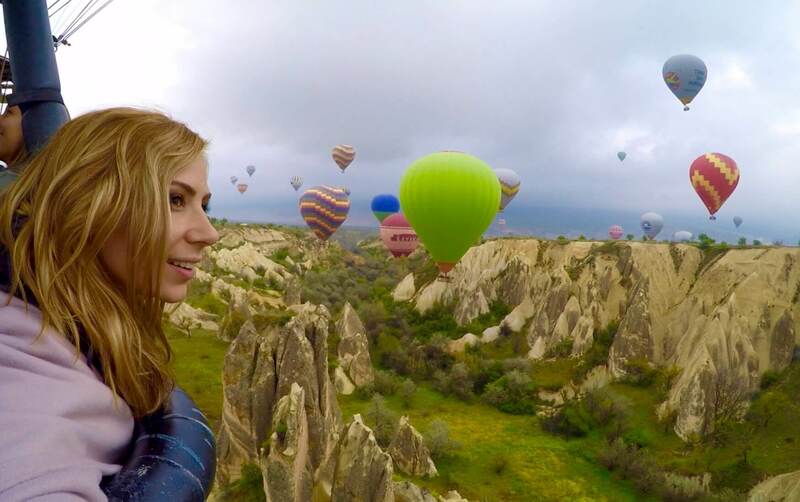 When you arrive here on Cappadocia with Blue Tour, don’t forget to feel free to picture with plenty.